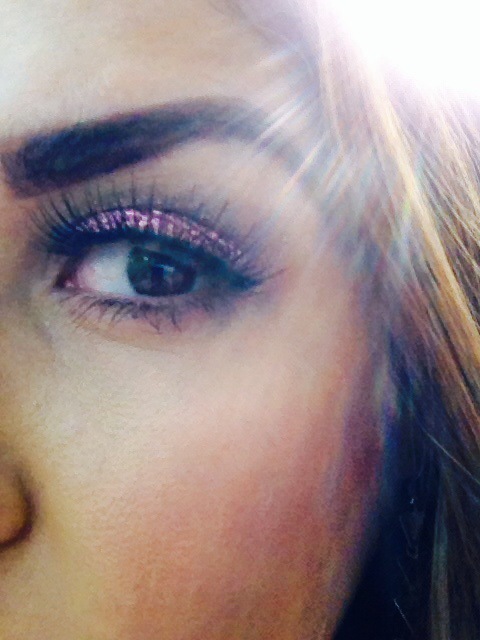 TGIGF (Thank God It’s Glitter Friday) !!!! The first post! And it makes the most sense to have it be all about GLITTER. Who hasn’t loved glitter since the days of gummy worms and Rainbow Brite as a little girl (or boy!) ??? Even though summer is coming to an end, glitter always has a place to shine, especially on FRIDAYS! So here’s to the beginning of a shining long weekend! 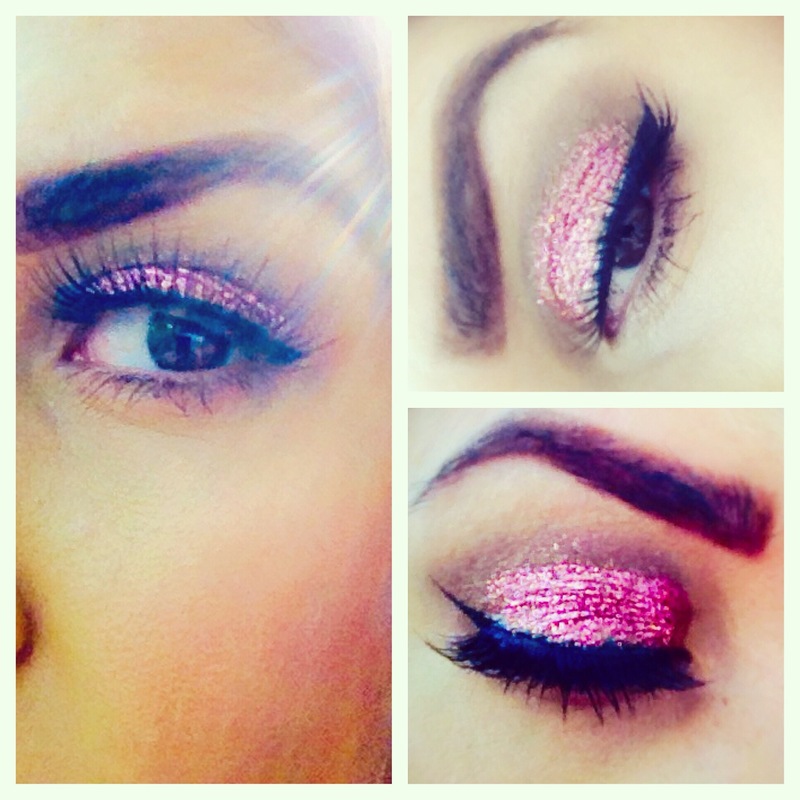 Brows: Benefit Cosmetics has some of my favorite products ever! Pictured here are Browzings in Dark, as well as Speed Brow for a setting brow gel and Hi Brow for the lift. No eye look is EVER complete without a heavy duty primer, especially when applying loose glitters. Pictured here, I used Kat Von D’s High Voltage Eye Primer in color Skin (it’s a universal eye primer that blends fluidly into most skin tones) as well as Too Faced’s Shadow Insurance Glitter Glue Glitter Bonding Eye Shadow Primer. Personally, this is my FAVORITE glitter bonding primer. Not only does it work well on top of shadows, but it really BONDS the glitter to your lid all day. Apply a small amount to the top of the lid (finger or small concealer brush will do) and then use a shader brush to dip into loose glitter and apply on top of the primer. Insured for hours! Glitter: This really isn’t news, but MAC 3D glitters are pretty much the best thing in the world. I’m a fan of all glitters really, but MAC leaves nothing to be desired. For this look, I used a throwback to the Summer of 2013 Baking Beauties line. To give a softer transition, I applied just a bit of color in the crease. My favorite neutral brown combo right now is from Urban Decay’s Vice 2 palette – shades Rewind and Radar. Classic Cat Eye: I try and quit you, Cat Eye, but you are just so damn fine! Used for this look is Kat Von D’s Tattoo Liner in shade Trooper. Lashes: Set the playful mood with some Pixie Luxe lash babies from House of Lashes! Happy Friday, conceited kittens! And thanks for checking out the very first post!